Tom. 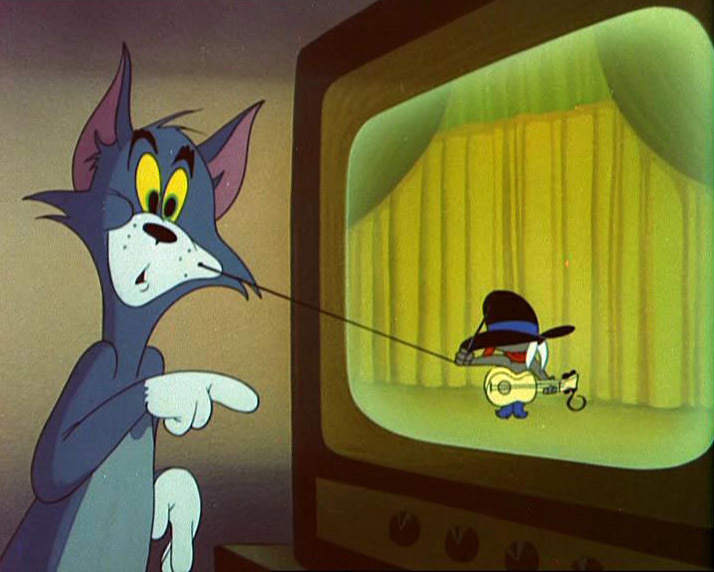 Tom getting his whisker pulled off by Jerry's uncle. Wallpaper and background images in the Tom and Jerry club tagged: tom and jerry warner bros..
Keyword: tom and jerry, warner bros. This Tom and Jerry photo contains living room, living room, sitting room, front room, parlor, parlour, sign, poster, text, and chalkboard. There might also be drawing room, family room, and window seat.